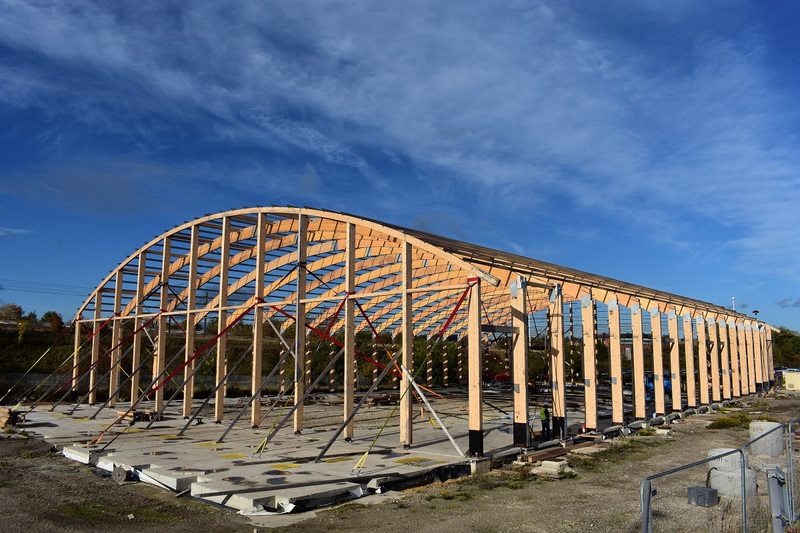 This huge glulam timber framed building was originally erected as a temporary structure in Cardiff. Woods Hardwick’s structural engineers were called in to assist with the design of the re-erecting after some problems occurred on site. We found that the original design, while theoretically sound, wasn’t robust enough for a permanent building. It also became apparent that there were defects in the fabrication of some of the critical connections. We prepared designs to mitigate the defects and to improve the structure’s overall robustness, and helped to monitor the works on site and resolve the inevitable site queries. In addition to the main frame, there is also raking staging for which no drawings existed. 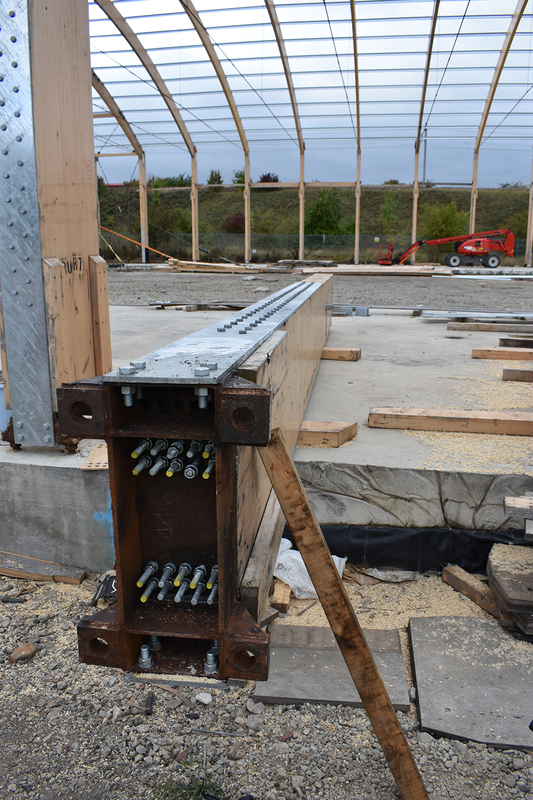 Over several visits, we advised on how these elements of the structure should go together, producing drawings to assist with the erection.